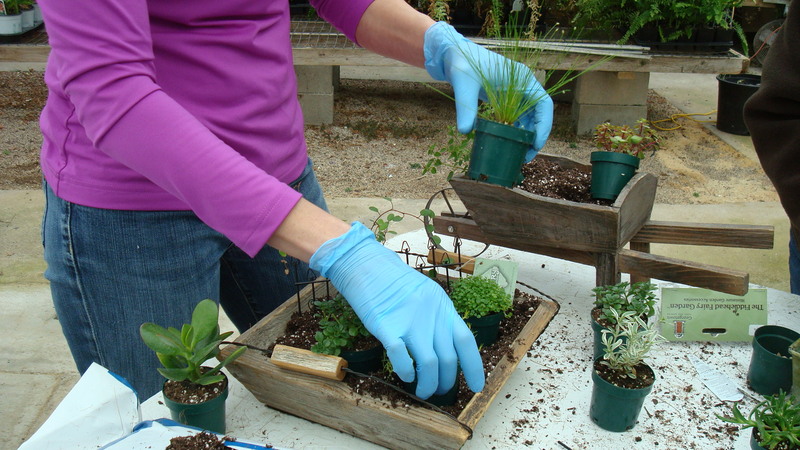 We just finished the second of our fairy/miniature gardening workshops, and boy did we have fun! It was exciting to see the imagination of each person come out in their miniature creations. Some chose a backyard theme with a few little patio chairs and a small garden plot. Others went for with a more eclectic approach, making some of their own accessories to fill their little fairy world. This fairy gardener proved that you can make a cute little garden in a small shallow container, and both her little wheelbarrow and wooden pan turned out nicely. 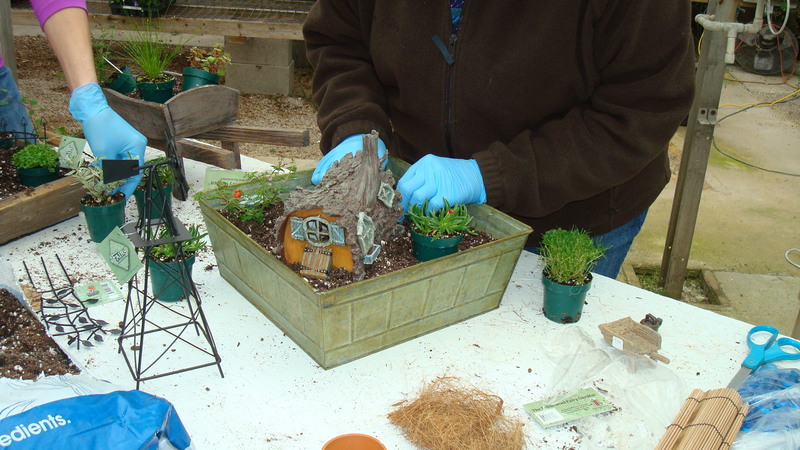 Here’s someone who chose to use our little “Fiddlehead Fairy House,” showing that you don’t need a huge container to fit a fairy house in your garden. The kids had fun too! Their creativity even showed up some of us adults! Here’s a few of the fairy gardens our staff have made. Some of these are for sale, but others are merely for display and inspiration.